Have you ever been browsing around online and fallen in love with a specific font on a design only to discover that you have no idea how to identify the font? (just me?) When I want to identify a font there are 3 places that are my go to spots. Check them out below. PLEASE NOTE: IT IS NEVER OK TO COPY OR TRACE SOMEONE ELSE’S DESIGN. REMEMBER TO BE CREATIVE AND UNIQUE IN YOUR USE OF THE COOL FONTS YOU FIND! The first tool that I love is What the Font. Pictures are uploaded to the site and then it scrolls a database of hundreds of fonts to match it up. There is also a forum where you can chat with others and it even can be downloaded as an app on your phone for easy use. That’s a huge bonus. What font is this also does this same thing. You can upload the picture and have it pick out which font is in the picture. The more clear the picture the better. 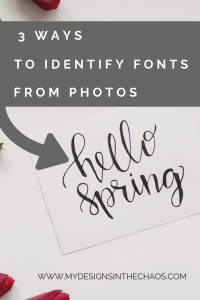 The next site that I love to help with identifying fonts is Font Spring. That site also works as a matcherator (yes it’s a word, I promise) which basically means you upload the graphic and it will help you to identify which font is being used in the design or image. Font Squirrel works the same way and also has a matcherator for you to use. Finally, the last site that I would suggest using for identifying fonts is What Font is This. 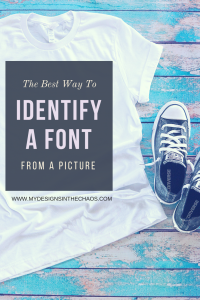 On this site you can upload an image or type in a web address (if the graphic is online) and it will help you to identify exactly which font is pictured. These aren’t the only ways to identify a font. 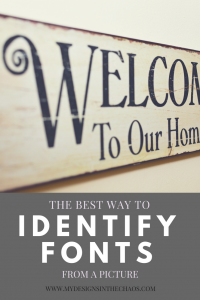 There are also apps like Find my Font and What the Font (mentioned above) that can assist with the process. Also, on Facebook there are TONS of ‘What font is this?’ groups if you want feedback from actual people. 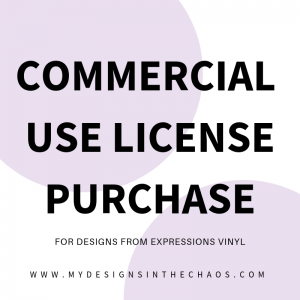 The bottom line is though while you can be inspired by other’s designs and font choices make sure to add in your own creativity. We talk a little more about why that is crucial to your creative success here. Sometimes fonts can feel overwhelming. If you are stumped and just don’t know where to get started, check out some of our favorite font pairs here along with our favorite font resources here. What tool do you use to identify a font the most? We would love to hear about it below. Please give this article a Pin or share to help another crafter out! Encouraging talent and confidence in crafting is at the heart of why we do what we do and we would love to pass that same vibe along!